5 Reasons Why You Should Invest in Decatur, GA Real Estate - Natalie Gregory & Co. Looking for your next real estate investment? Decatur, Georgia is a thriving city in the Atlanta Metropolitan Area that you should consider. Home to over 22,000 people, Decatur is filled with historic neighborhoods, locally-owned shops, and charming real estate properties. It is also hailed by many as one of the top cities in Atlanta. Decatur has plenty of real estate properties to choose from. Decatur has a wide array of real estate properties, from affordable single-family homes to luxury townhomes. Having a variety of properties allows you to choose the real estate option that gives you the most confidence for your investment. Other real estate properties that you can find in Decatur are bungalows, cottages, ranches, apartments, and condominiums. The value of homes in Decatur is steadily rising. Because of the rising value of real estate properties in Decatur and in the Atlanta metropolitan area, the best time to invest is now. According to the latest Atlanta REALTORS market report, the median sales price for the homes in this area increased by 7.9% from March of 2017. Caused by a low housing inventory and a huge demand for real estate properties, investing in a Decatur property could yield huge returns. Decatur has plenty of employment opportunities. One of the reasons why you should invest in Decatur real estate is because of its employment opportunities. In the Atlanta metropolitan area, jobs in the healthcare, hotel, retail, and business services industries are the most in-demand. It also serves as the headquarters for global brands such as The Coca-Cola Company, CNN, Delta Air Lines, and Home Depot and is the home of major hospitals and agencies, such as the CDC. Key universities and colleges like Georgia Tech, Georgia State, Emory, and Agnes Scott also offer employment opportunities as well as producing work-ready graduates. According to Patch.com, an independent local news platform, the latest job openings in Decatur call for technicians, managers, supervisors, developers, and chefs—not surprising with the wonderful restaurants in the area (see below for some local favorites). These employment opportunities encourage workers and recent graduates to locate within the Atlanta metropolitan area to Decatur. The constant influx of people gives you a unique opportunity to lease, rent, or sell your Decatur real estate investment to those who are looking for accommodations. Decatur provides access to top-notch schools. Decatur is home to excellent private and public schools as evinced by their name recognition and accolades. Located within Decatur city limits, Saint Thomas More Catholic School was named a 2016 Blue Ribbon School of Excellence. And prestigious The Paideia School is located a stone’s throw in the Druid Hills neighborhood. Almost all Decatur public schools have been ranked 7 or higher by www.greatschools.org; Decatur High School even earned a gold medal from U.S. News & World Report. Decatur is a city where one can live, work, and play. It’s no wonder why so many people have chosen to live, work, and play in this vibrant city. 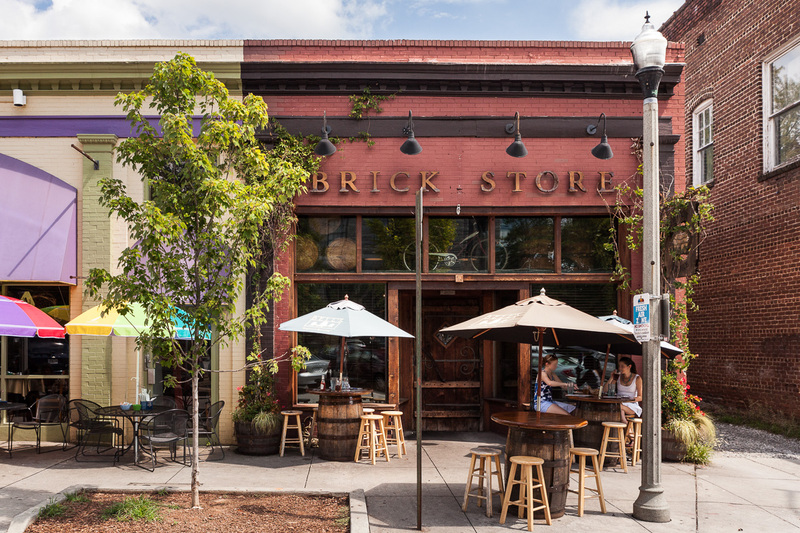 Decatur is home to great schools, state-of-the-art medical facilities, premier shopping, and celebrated restaurants, such as Brick Store Pub, Kimball House, Leon’s Full Service, and Revival Restaurant. Decatur also places a lot of emphasis on the arts, culture, and recreation with events like the AJC Decatur Book Festival, Concerts on the Square, and Oakhurst Porchfest, to name only a few. Witness exponential and sustainable growth with your Decatur, GA real estate investment. Start investing in these properties today by calling Natalie Gregory at 404-550-5113 or email her at Natalie(dotted)Gregory(at)Compass(dotted)com.